Keysight Technologies says its 5G Conformance Toolset now supports the greatest number of validated Global Certification Forum (GCF) and PTCRB protocol, as well as radio frequency (RF) conformance test cases, for both 5G new radio (NR) non-standalone (NSA) and standalone (SA) mode, as reaffirmed at the recent GCF meeting. In the past three months, Keysight has obtained initial GCF approval for validated 5G NR NSA test cases and has enabled the activation of GCF certification for 5G NR standalone devices. 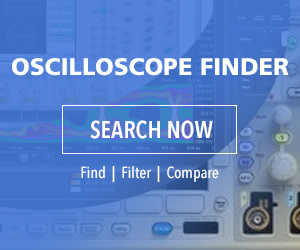 Keysight’s 5G Conformance Toolset offers the widest range of GCF 5G RF NR radio frequency SA test cases and frequency band combinations and is currently the only solution that supports validated 5G NR protocol test cases for standalone mode. Keysight says compared to competitors, it offers the leading number of carrier acceptance 5G NR RF and protocol test cases as mandated by a major U.S. mobile operator.